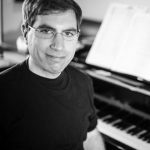 Game music site GSoundtracks.com interviews Michael about his work for Empire Earth 2 and other gaming projects. Click here to read the interview. Film music website musicfromthemovies.com includes Michael in its “Hidden Treasures” column. Click here to read the article.